They may be great fun, but there is some serious physics involved in designing a roller coaster. This workshop looks at some of the different specialists who are required to bring a ride from the drawing board to the theme park. Scientists and engineers need to be experts at team work so that they can bring complex projects to realisation; in this workshop we focus on how scientists have to work together in order to solve problems. 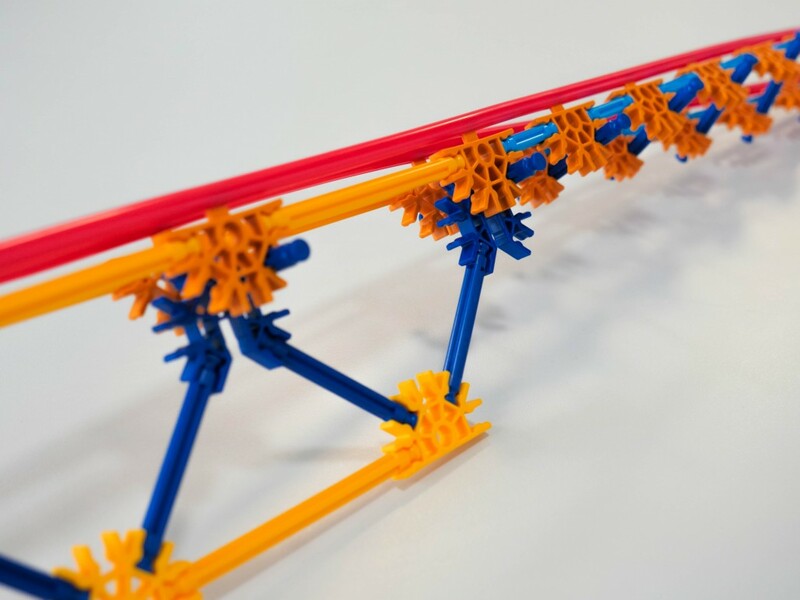 Using K’nex, we look at how structural engineers use clever design to create strong, safe and economical structures. We discuss how different shapes can confer different properties on a structure and the concepts of tension, compression, shear and torsion forces. 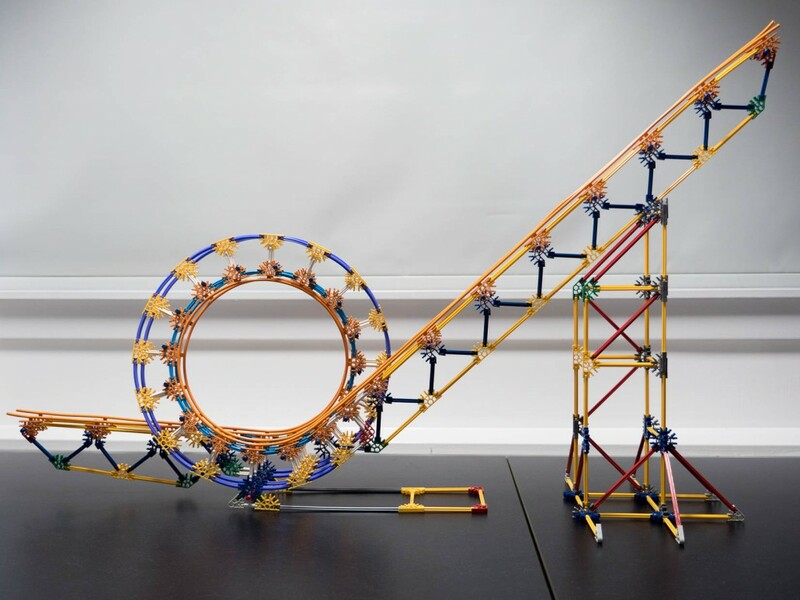 We then construct a model roller coaster and look at the design elements that have been used to create a loop structure. Once our roller coaster loop is constructed we need to make sure that our carriage will make it all the way around. This involves being able to calculate gravitational potential energy, kinetic energy and centripetal force. A great example of how important these calculations can be is shown here by Greg Foot’s larger version. In our workshop, we compare our experimental results to the calculated results, and discuss the disparity. Our next expert lets us take a look at the different types of materials that are needed. How can we match up the correct material to the specific role? Materials scientists have to consider strength, durability, flexibility, cost, density, how changes in weather will effect it, and its environmental impact – basically they need to think of every possible detail from the paint on the supports to the padding on the chairs. They will have to work closely with the designers and safety regulators to ensure that the materials they choose will do the job they want. We also need to think carefully about how to make our roller coaster safe for the riders. Part of this is working out the g forces that will be experienced. We look at ways of measuring these experimentally and through calculations. You can see how important g forces are by watching this video about the forces experienced by astronauts and fighter pilots. There are loads of great games dedicated to roller coaster design; this is one of my favourites. It shows the relationship between gravitational potential energy and kinetic energy and lets you experiment with different designs. Be warned though, it’s not as easy as it appears at first. For a more in depth look at some of the different variables involved, try out this game.